The Hair Renderer…. can it do more than just make hair? Oh, there are lots of things! Make a tree, grass, and much more! 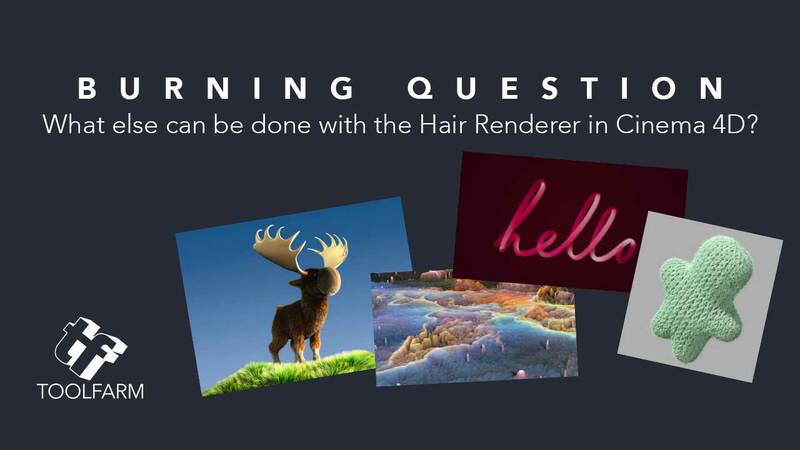 What is the Hair Module in Cinema 4D? The Hair Module can create hair, of course, but also fur, feathers, carpet, grass, trees and more! 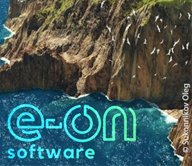 It comes with Cinema 4D Studio and it’s a fast tool that gives users loads of options to make interesting and realistic effects. First, if you don’t have Cinema 4D Studio, you need it. You can download a free trial version here. 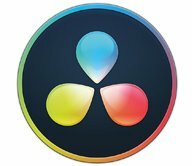 If you’d like to buy, Cinema 4D, please consider buying it from Toolfarm. We discount it by 5% every day! Okay, on with the tutorials. To get things started, here are a few tutorials about to help you get really comfortable with the Hair Renderer. This will get you started with this super cool renderer. We love Greyscalegorilla because their stuff is such quality and their tutorials are fantastic. 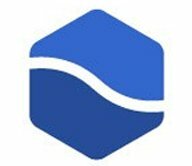 Check out their products! Okay, warning, this tutorial by PiroGrafStudio is in Polish, however, he names the Cinema 4D parameters and modules in English very clearly and it’s visually very easy to follow, so don’t be put off by the fact that you don’t understand the words. GSG also has an episode of AskGSG about using Hair and Brushes with Geometry that is related to this topic. Let’s start with something obvious. Fur… like hair but full-bodied. Dress your cats, bears, and other creatures with a lovely pelt. Iain Chudleigh shows you how to create lovely fur using the hair renderer in Cinema 4D. Robert Redman of Pariah Studios explains how to use UV Maps with Cinema 4D hair to control both the length of the hair and the root color. I need this for my own head… keeping up hair color is tedious! Robert Redman knows his stuff and I’ve seen several of his tutorials. Check his work out! 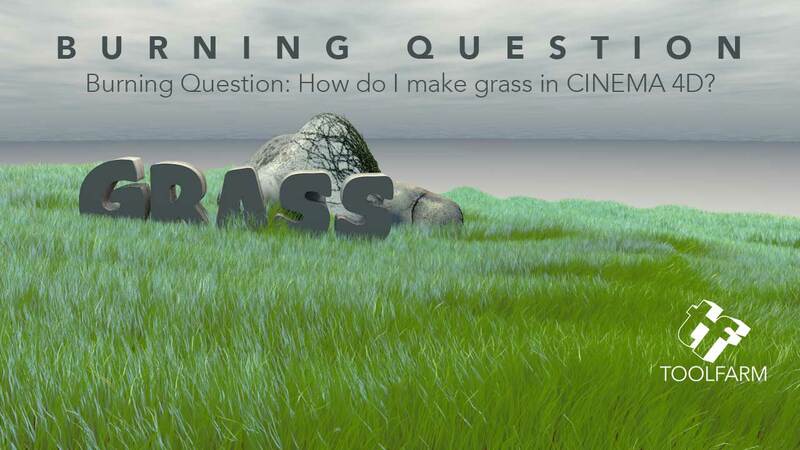 I answered a Burning Question specifically about making grass in Cinema 4D with several tutorials, including great ones from Greyscalegorilla, Rob Redman of Pariah Studio, Maxon, Quick VFX, Creative Cow and more. See them all here! Learn how to make rolling fields of geometry using the Hair module in C4D. Create amazing effects with this simple approach. Chris Schmidt from Greyscalegorilla (we love you guys!) shows you some interesting techniques with creating Hair Driven pillars with Cinema 4D. Watch the tutorial here. Pingo van der Brinkloev shows an interesting technique to knitting with Hair and Mograph. From Helloluxx – An easy, yet effective technique for creating a write-on type effect with Cinema 4D Hair Renderer. Helloluxx makes some seriously good Cinema 4D training and I really think you need to check out their offerings… and they’re discounted by 5% every day at Toolfarm!